Or perhaps that should read '..the School Walk'?! I've been asked a couple of times to give footwear advice to mums who walk each morning to school. However, as I am lazy drive the school run, I didn't feel qualified to advise on this. 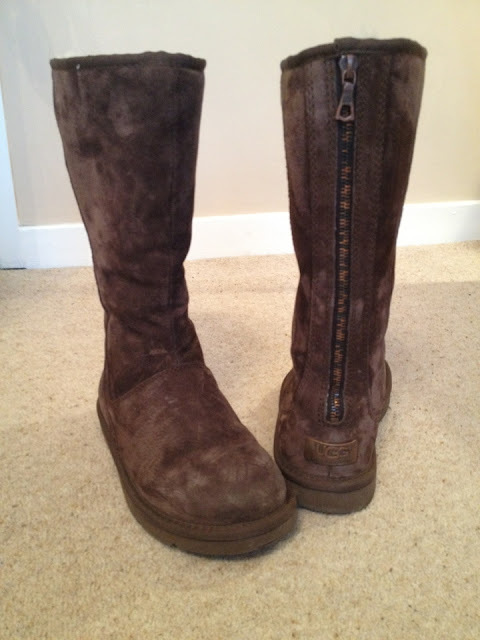 But one of the blogs I follow is Mummynotmumsy, written by Helen who does walk the school run every day so I asked Helen if she would give the School Gate Style girls some advice on the best footwear to wear in all weathers. Take it away Helen! Hello School Gate Style readers! 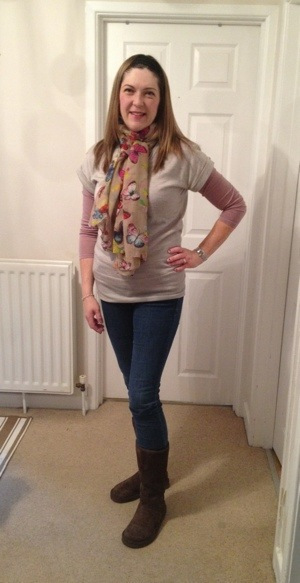 Avril's asked me to write about footwear for the school run - it's a topic close to my heart! With three young children, a buggy and numerous school bags, hats and associated 'stuff', the ten minute scramble to school always poses a challenge for whatever shoes or boots I choose. I live in a semi-rural little town and my walk to school involves passing through the park - lovely, especially at this time of year with all the fallen leaves but a bit muddy and wet. And of course there's always the odd child stomping on my nicely polished foot with a muddy school shoe to deal with! This means that my school run footwear takes a serious bashing so I need something practical and hard wearing, but which also looks smart and stylish for the rest of the day. 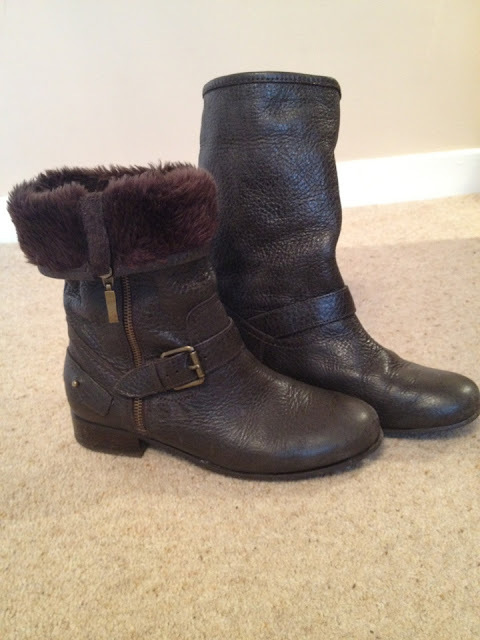 My number one purchase this autumn has been these M&S boots for £79. I really can't recommend them highly enough. 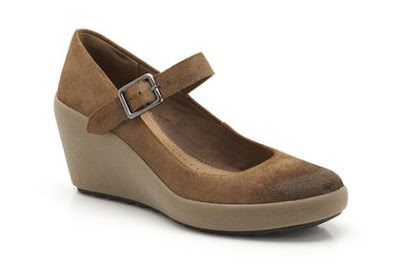 They're brown leather so they go with most outfits, and they have proved to be so versatile. The fur lining means you can zip them up so far and turn the top over to form a cuff, but I also like to change the look by leaving them up as a mid calf length boot. They seem to have disappeared online but I have seen them in the shops still. These ones are similar and also £79. 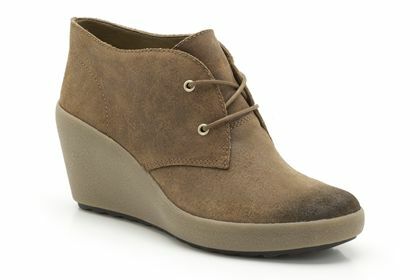 Or these biker style ones which are just £65. The heel height is just high enough to allow me to wear them under bootleg jeans too. I originally bought them as my 'wet muddy weather' boot, and thought I would just put them on when the conditions underfoot were really bad, to keep my other boots looking decent, but they have proved really hard wearing and are still looking good as new. 10 out of 10 for them!! Now I know that Uggs tend to be a bit love or hate, but I still like mine and I do turn to them when it's bright and dry but cold - you really can't beat them for keeping your toes warm! Mine are dark brown which I hope makes them less obvious, but the only thing that irritates me is the zip up the back which keeps sticking - I'd welcome any tips to solve that!! I also find wedges are a good choice - I have these shoes from Clarks which are also available as a boot - I've been wearing them with skinny and bootleg jeans and they keep the hems of the latter off the wet pavement. Super comfy too. Now I realise they are suede (!) but it's not that really fine suede, more a type of nubuck which feels a bit more resilient. And I've given them a whopping coat of rain protector. Finally, my top tip for when the weather is so bad only wellies will do. I found some cheap, plain black ones which, at a distance could pass for regular leather knee length boots. Personally I much prefer these to brightly coloured wellies, and somehow they feel less clumpy. These mock croc ones were from Stead and Simpson of all places and just £15 - now that makes me feel like I'm back at school! I'd love to hear what everyone else wears for the school run - do you find that balance between style and substance as difficult as I do? Thanks for all your kind words ladies! 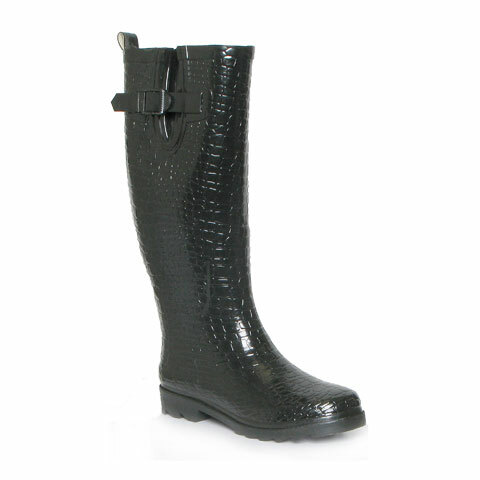 We have definitely needed wellies here today, torrential rain! I'm off to try the pencil trick on my zips, will report back. Although my walking to school days are long gone I love your Marks and Spencer boots. Great post and I love all the footwear options. Rubbing soap on the zip may help with the sticking problem. Great article and those wellies are a real find!